German actress who won international acclaim by playing Anne Frank in the award-winning 2016 historical drama Das Tagebuch der Anne Frank. Her other notable roles include Ayla on the fifth season of the Showtime series Homeland. She got her start as a stage actress, making her debut at the Karl May Festival in Bad Segeberg. 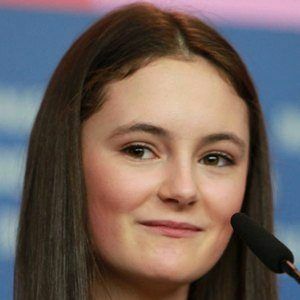 Her performance in Das Tagebuch der Anne Frank earned her a Bavarian Film Award for Best Young Actress. She was born in Germany. She appeared alongside Claire Danes on Homeland.